We enjoy the safety and security of walking with ICEtrekkers. Neither of us have slipped while using them and they haven’t fallen off a single time. 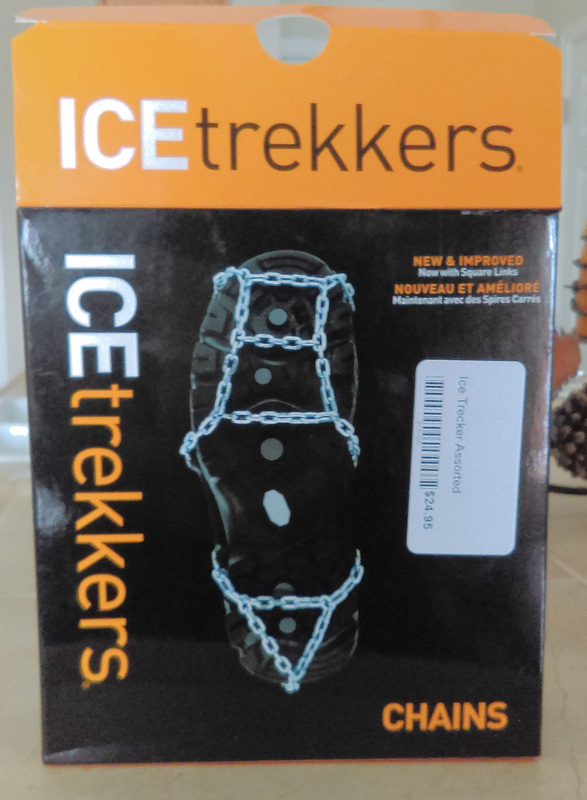 ICEtrekkers makes two other products, “Spikes” and “Diamond Grip” that the manufacturer says are even better on ice. However, we have found the “Chains” to be excellent on ice. We bought our ICEtrekkers Chains at the Tahoe Sports Hub in Truckee for $24.95. This is the retail price listed at the ICEtrekkers web site. ICEtrekkers come in various sizes depending on your shoe/boot size. Stay safe out there. Get some chains for your feet and your keister will love you. Thanks for sharing this useful article. Your idea was great, I really appreciate it. I think, using chain can help us to increase safety level. Healthy article sharing this blog. I love this and useful sharing also. Founded in 2007, the company owns 13 production lines with around 300 staffs, and produces over 4 million pairs of gloves annually which covering PU/Nitrile/Latex dipping, meantime we're growing our scale rapidly.